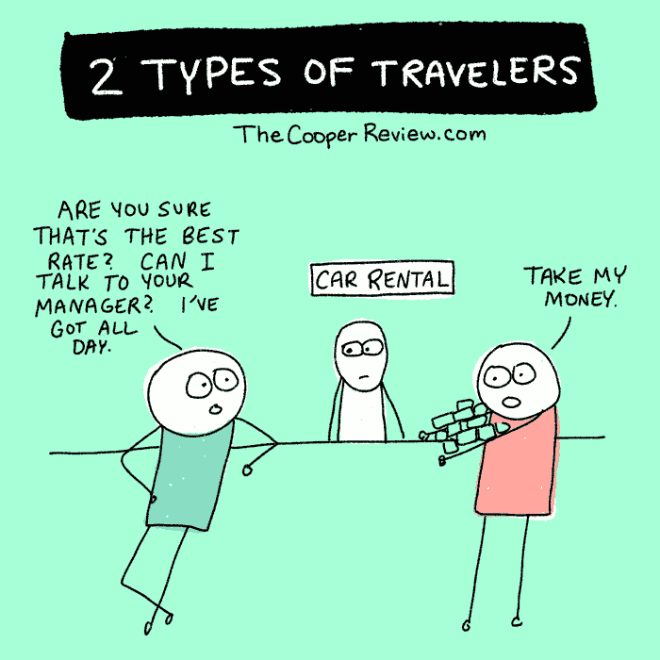 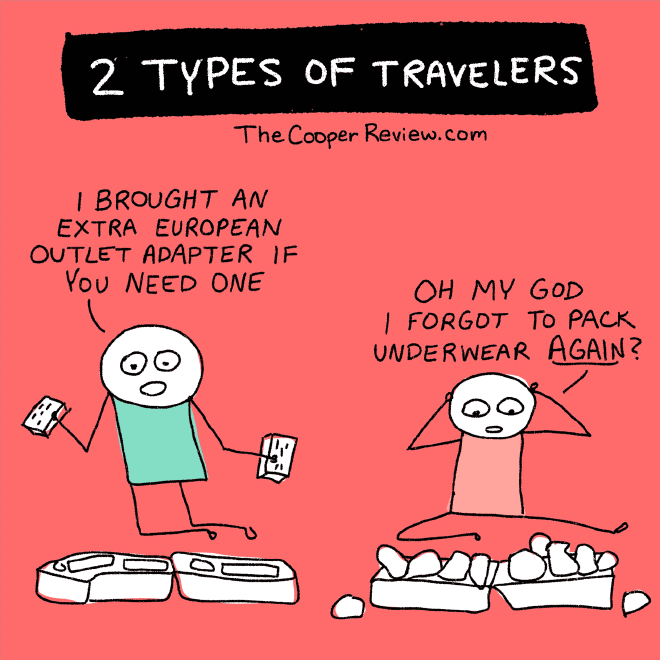 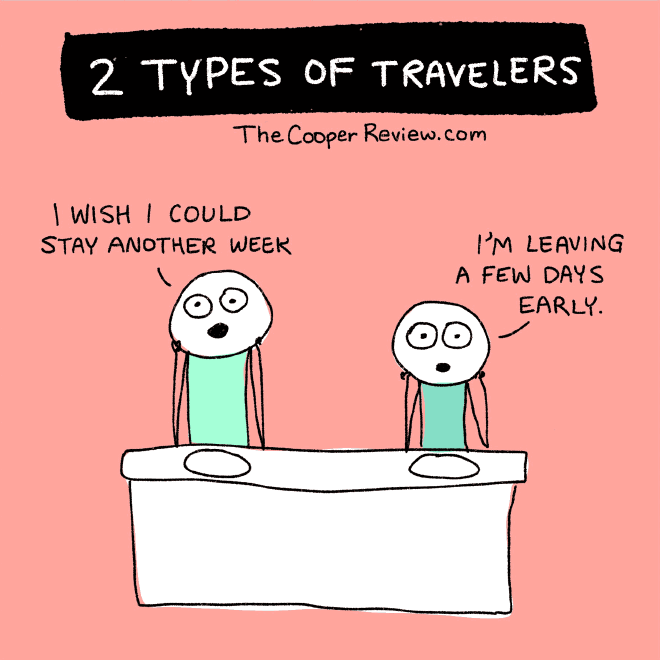 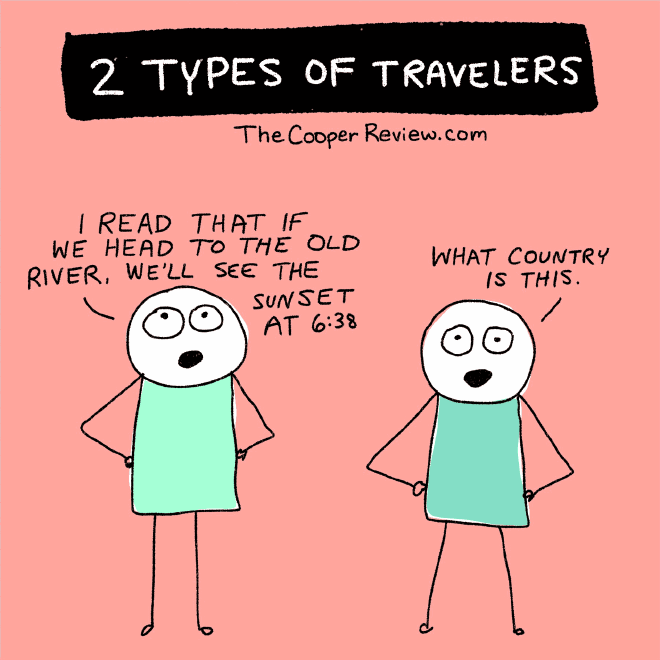 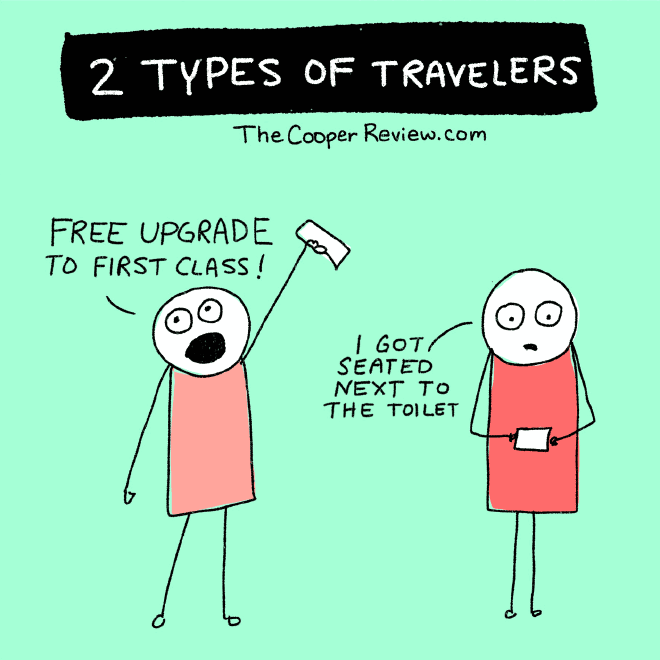 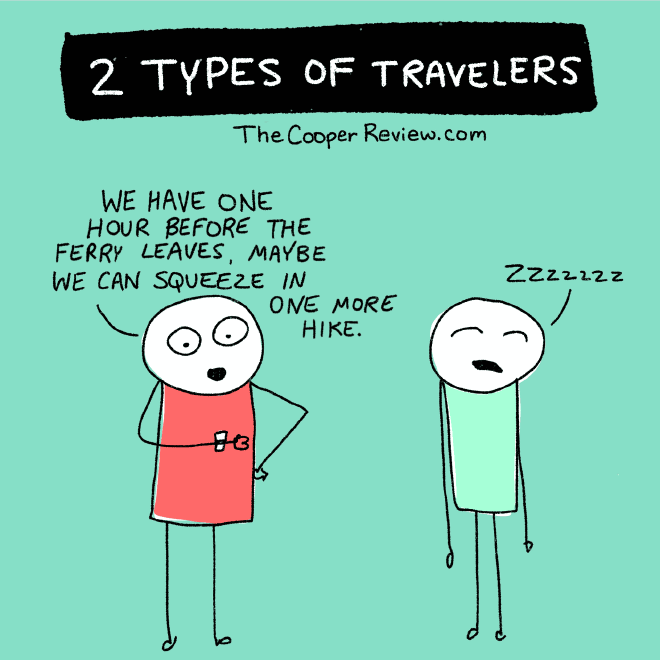 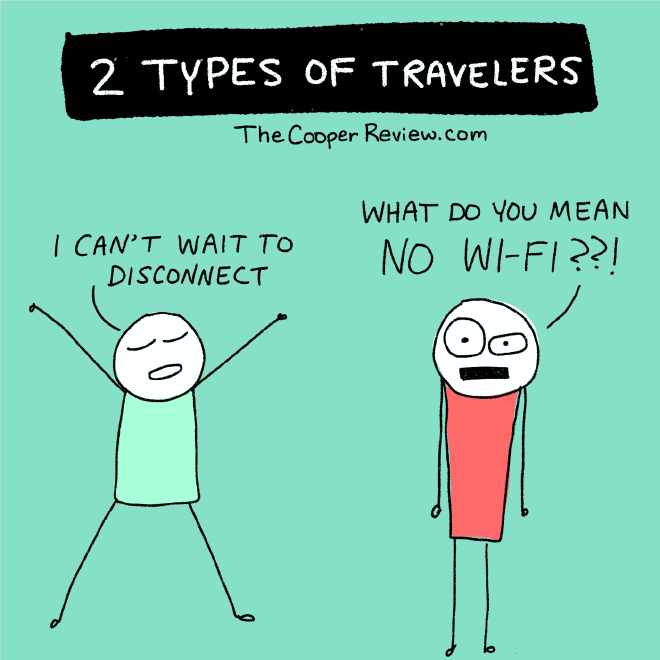 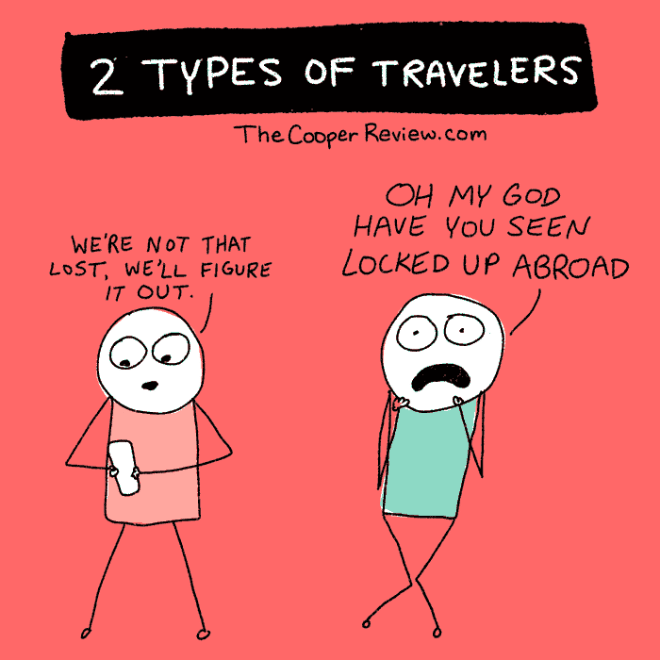 There Are Two Types of Travelers: Which One Are You? 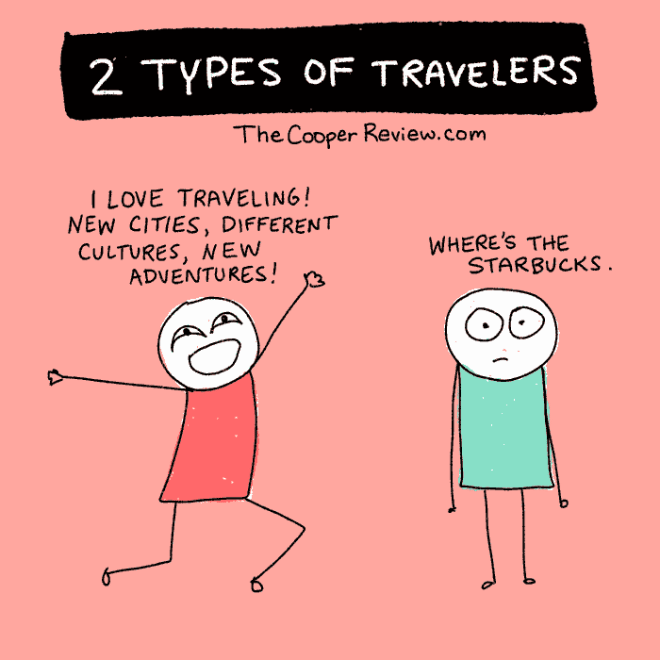 Blogger, illustrator, and book author Sarah Cooper has created funny and true series of images that break down the two types of travelers. 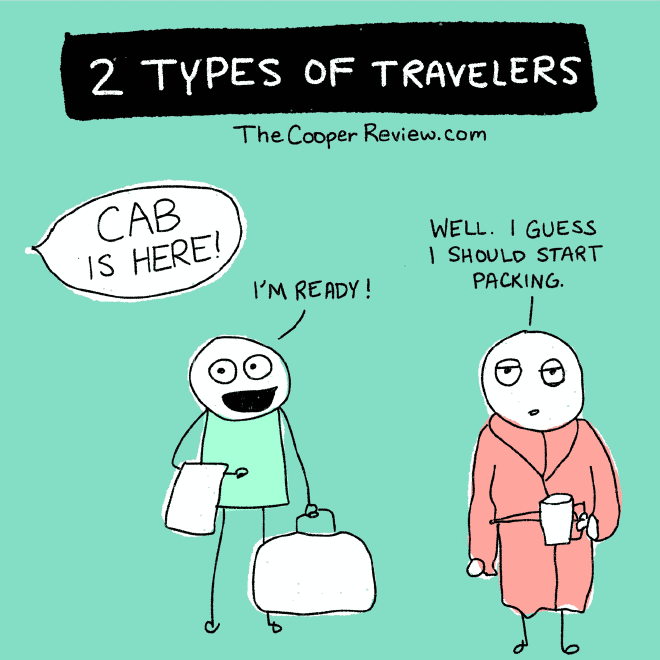 Which one are you?